When a person visits the dentist for dental care and gets their teeth cleaned, plaque and tartar are removed to prevent cavities form developing along with gum disease and gingivitis. More than one third of adult tooth loss is related to advanced gum disease. Tooth decay is a very common problem among the population and affects almost every family. Over 80% of all cavities take place between teeth or on parts of the teeth that can not be reached with a toothbrush. Therefore, food particles get stuck and mix with saliva in places where fluoride does not reach. This leads to acid which decays the enamel on the teeth. Sealants are a useful tool that dentists sometimes apply to teeth that are in the back of the mouth and contain deep crevices. 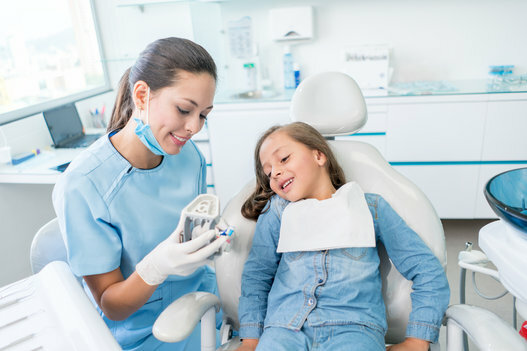 Sealants are a clear coating that is placed over the teeth to prevent cavities from forming. An elastomer strip has been proven to move sealants deeper into other teeth simultaneously and force toothpaste containing fluoride into chewing areas prior to brushing. This remineralises teeth. Normally, dentists will recommend that everyone get their teeth cleaned professionally at least two times every year. This cleaning will entail tooth scaling, polishing, and removal of tartar. This will be followed by a treatment containing fluoride. At home, a person is expected to use good oral hygiene practices. This is very important to preventing tartar from accumulating which leads to worse problems. This can be done by brushing the teeth with a good tooth brush often and also using dental floss in between teeth to prevent plaque from accumulating on the teeths surface. Plaque is a yellow film that is sticky and forms in the mouth on teeth and gum line. It can be viewed when using a special dye. Plaque contains bacteria which transforms sugar from food into acid that eats away at the tooths enamel. It eventually leads to cavities after it is present for a long time. A person can avoid plaque and tartar by brushing and flossing teeth very well each day and night. The gums may become irritated by plaque which makes the turn red in color. This makes them bleed more easily than normal. In certain cases the gums may pull away from the teeth. This leaves cavities available to bacteria. If this condition goes untreated, the bones in the mouth may get destroyed. Teeth loosen and must be pulled similarly to periodontal disease. Eating a diet that is filled with fruits an vegetables may help to prevent teeth from decaying. Instead of reaching for sugar to snack on, select while some foods that will increase health and good teeth. Dental floss is an important tool in proper oral hygiene. It helps to get rid of plaque and the food that remains in between teeth. Food that decays in the mouth along with plaque will irritate the gums. This makes them bleed easily. Food left in the mouth produces acid that causes cavities. Flossing should be done at least once a day, usually proper to brushing. This allows fluoride toothpaste to get into all surfaces in the mouth. This will help to prevent gums from receding, gum disease, and future cavities. Most people are recommended to use at least ten inches of dental floss to have the highest effect. It must be pulled tightly between fingers and moved up and down between every tooth in the mouth. It is vital to floss into the gum line and around the curve of each tooth. 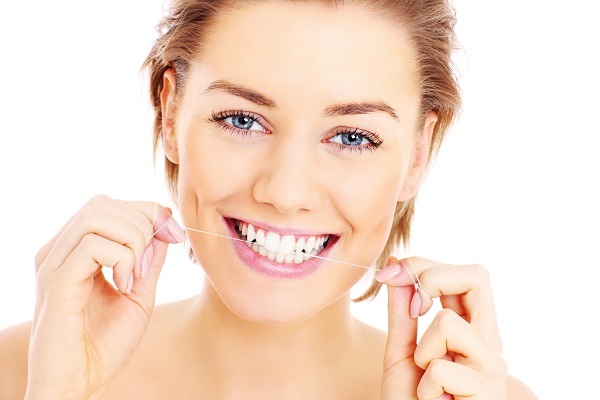 When flossing is began, it is normal to see some blood, since gums are very sensitive tissue. Eventually, with regular use, floss will not cause any bleeding. It is essential to be gentle when moving the floss in and out of teeth. A back and forth motion must be used. Most people do not clean off their tongues. However, this is a very effective way to get rid of bacteria that coats the tongue and causes bad breath. Tongue cleaning removes decaying food, fungus, and dead cells. It also may help to remove bacteria that leads to gum disease or other problems with the gums and teeth. Massaging the gums with the bristles of a toothbrush may have a positive effect on oral care. There are a number of things that can be done to ensure that a person has a healthy mouth filled with teeth that are free from plaque, tartar, and cavities. A bright smile says a lot about a person and can be achieved with ease. Pain Behind The Knee Top Funny Things to Ask Siri Tips on How to Choose a Wet Dry Vacuum Allow Your Garden To Breathe In Full Sun: Ultimate Ideas For Perennial Flowerbed Cocktail Attire for Men Exploding Hoverboards?! Which Are Safe to Buy?